Presuppositions in NLP can best be described, I suppose, as those matters that go without saying. 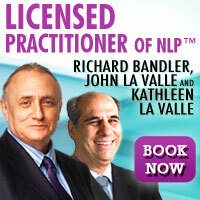 Alternatively, I have heard them described as the core beliefs of NLP. You may already have read on the NLP presuppositions page, for example, that we all have an internal map, but it is just that, a map; it is not the territory. Taken a step further, we might say that there is no such thing as reality. If there is, we certainly don’t know what it is. All we know is our perception of it. We know that there are things we cannot see. We also know that there are sounds we cannot hear. Scientists believe that three quarters of the universe consists of matter that we cannot identify. If that is so, how can we possible know what is reality. So we evolve an internal map based on our upbringing and personal experience, and on the whole it is OK to use it to chart our way through life. No two people will have an identical map although they may be very similar. On the whole we are able to use them to get around, but if they are distorted in any serious respect, they may lead us into difficulty. That is what tends to happen when people have anxiety states, phobias and OCD, for example, although there are many others. You may at this stage like to think about your own map of the world and consider why, for example, you hold the opinions you do. Could it be, for example, that you have been raised to believe that certain things are so and you have accepted that without question. It is quite natural that we may be reluctant to challenge the views held by our parents and grandparents, but there are other views. So when you are reviewing your map give yourself the widest choices possible. The more choices you have, the more open minded you will be. If you are wrong about some things, what else might you be wrong about. You may think, for example, that you have a place or station in life and are stuck there according because of family circumstances or status. Others may suggest that is wrong. An NLP presupposition is that we have all the resources we need or we have the ability to create them. Bearing that in mind, think about what you really want, dig deep and find those resources or consider how you may create them. We perceive and process all information through our five senses of sight, hearing, touch, smell and taste and that is more fully explained in NLP techniques for developing your senses on this website. Psychologists generally tend to view the body and the mind separately although the presupposition in NLP is that mind and body work together to form a complete whole: that it is not possible to change one without affecting the other. Each of us has different life values and strategies. Those values and strategies may be different but none of them is wrong. We may be operating those strategies correctly but we may discover when things don’t turn out as we want that they have not been very well designed. Equally, we make the best choices we can based on our personal map of the world. For us as individuals they seem to be the best road to travel on, although to others it may be clear that they are immoral, dishonest or will just lead to disaster. Many of the people I have prosecuted over the years started out by thinking what they were doing was OK based on their skewed map of the world, and I have heard them attempt to justify it on oath in the witness box. I have no doubt that some of them truly believed they had legitimate reasons for committing the crimes they did. One of the objects of the rehabilitative measures open to a court to impose is to help them to widen their map of the world and to realise that they have more choices than they currently believe. In many cases – particularly with young offenders – it is possible to give them a better choice, and a lot take it. Whatever we do, we do for a purpose. Sometimes we are not aware of it. Consider the obese person who eats and eats and gets fatter and fatter. The first question to ask yourself here, what is the purpose of my eating? The answer is not, “I just cannot help it.” You can and your eating is satisfying a purpose. It may well start off as emotional eating. Perhaps a stressful incident sparked it. When you have eaten the forbidden foods you may have a sugar high and for a short while feel really good. But then you have a low and feel the need to eat again. The cycle goes on and on, but the eating is achieving a purpose. The additional weight is the result of that pattern of eating. It can be changed, of course. Once you create a new purpose and a regime for tackling it, you can embark upon a different course and become thinner and thinner. We remember also that the intention and the action are not the person. We are not the sum of our behaviours. When we have better choices, we tend to take them. If you are not getting the results you want, rethink very carefully what you are doing. You are not failing; you are merely achieving feedback. The feedback may not accord with your thinking but consider it and think about changing your approach. Take responsibility for what you are putting out there and for what you are getting back. Remember that if you want something different to happen you may have to do something different. It is not the time to say, “I have always done it this way.” If you do, you must not be surprised if you get what you always got. The presuppositions we have reviewed in this article are not a set of rules. Neither do you have to believe that they are true. For these purposes we presuppose that they are true and act in accordance with them. When you are looking at somebody else’s actions remember that they are reacting to their experience of life. 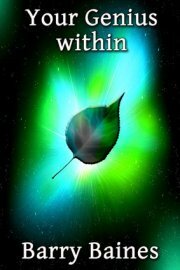 They are reacting in accordance with their own “reality tunnel” and not reality itself – whatever that may be. 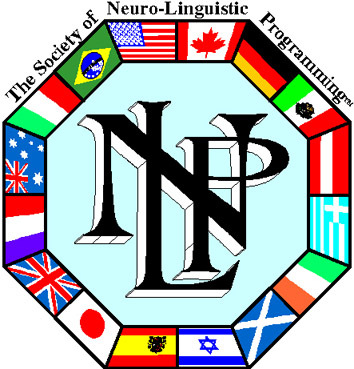 If you haven't already done so, you might like to cross-refer to NLP Presuppositions.